Research from Kwik Fit reveals that the majority of UK cars have their tyres underinflated. The research shows that up to 68% of cars have tyre pressures up to 3psi lower than manufacturer recommendations. 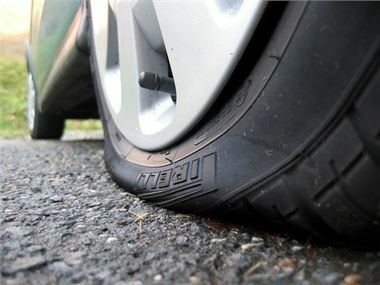 Cars with underinflated tyres suffered from poorer handling and braking performance than those with the correct pressure. Additionally, fuel economy is decreased when driving on underinflated tyres. Overcompensating for low pressures is also a problem, with 14% of cars being driven with at least one overinflated tyre. Overinflated tyres wear unevenly and more quickly. Kwik Fit offer free tyre pressure checks.